End users are able to clearly identify users who are currently holding the licenses they need. License usage is attributed to specific organizational units and work groups. This facilitates attributing license usage to different cost centers, and improves the planning of license acquisition, maintenance and allocation. 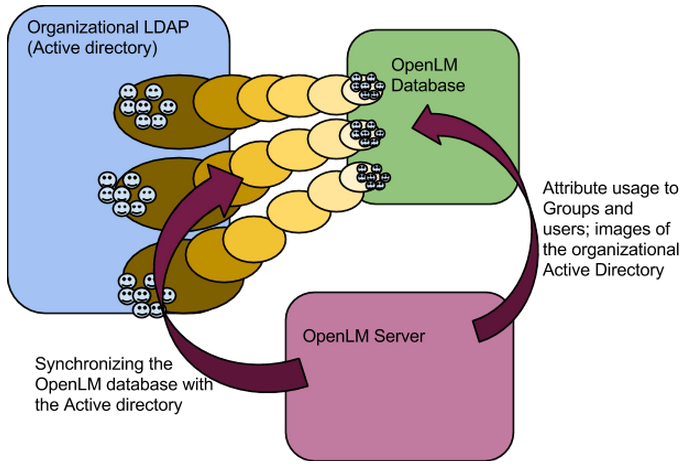 Here is some more information on synchronizing the OpenLM Database with the Active directory and the “Groups and users” in OpenLM.